Transform a room from boring to magnificent with little to no effort at all. Hang this exquisite dragon tapestry over your bed or behind the couch to change a room from dull to bright and warm. Each 100 percent cotton tapestry is 90" x 100" and will literally blow you away. It looks very cool. That being said, it is essentially a sheet with a neat design and color scheme. I really like it and will use it as long as I can but, for price paid, it's disappointing. It's nothing but a sheet with a nice design. this thing is huge! i had no clue how big 90"x100" was but dang! 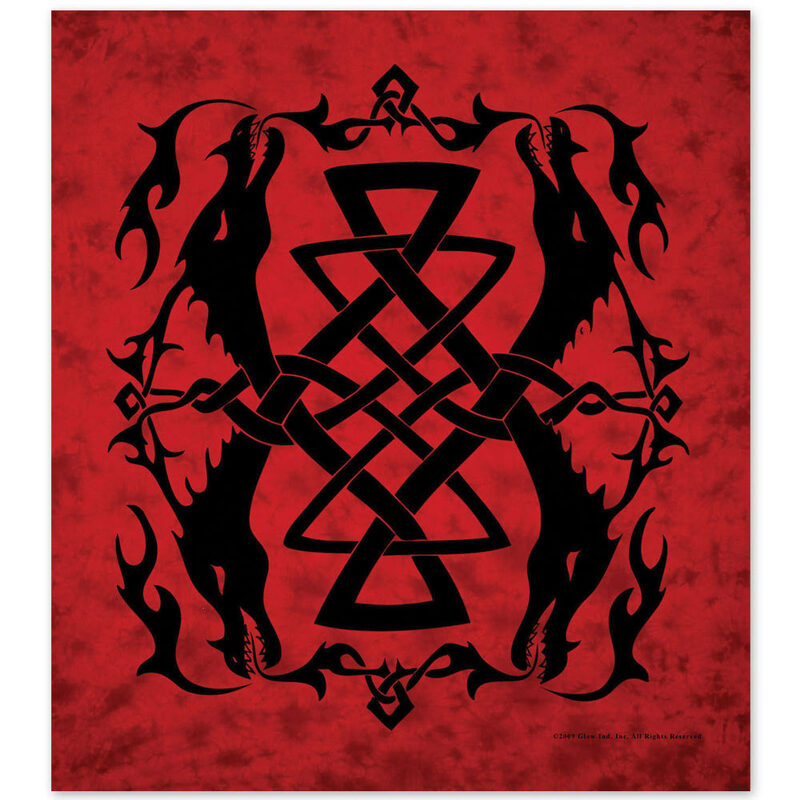 if u r into dragons or celtic knots, this is a must have!